The average NFL team is run by 2-3 front-office personnel and about 15 coaches. That’s about 18 individuals charged with ensuring they win. Yet not one of them has the specific title of ensuring they don’t lose. They do not have a Coach of Penalty Avoidance, a VP of Injury Prevention or a Director in charge of avoiding off-field infractions. Those things are important, but they are handled very differently than most other professional organizations in high-risk industries. If NFL teams functioned like most corporate organizations, each player might receive different instructions from multiple coaches for every play. The way most organizations set up their management systems, they effectively serve as an additional set of coaches, and the ones most impacted by this are those on the front-line. An integrated system works more like a coordinated coaching team. It isn’t a different management system, it’s a different approach to management systems; one which focuses on getting all the organization’s “coaches” aligned and working in unison. When discussing what makes management systems effective, most conversations gravitate towards the usual buzzwords like leadership engagement, competency, technology and automation, often overlooking the inherent implications of the management system architecture Understanding the inherent benefits and limitations of your system’s design is crucial, as they can undermine the impact of other important factors like engagement, competency, technology, etc. The most effective and efficient management systems are based on an integrated architecture. 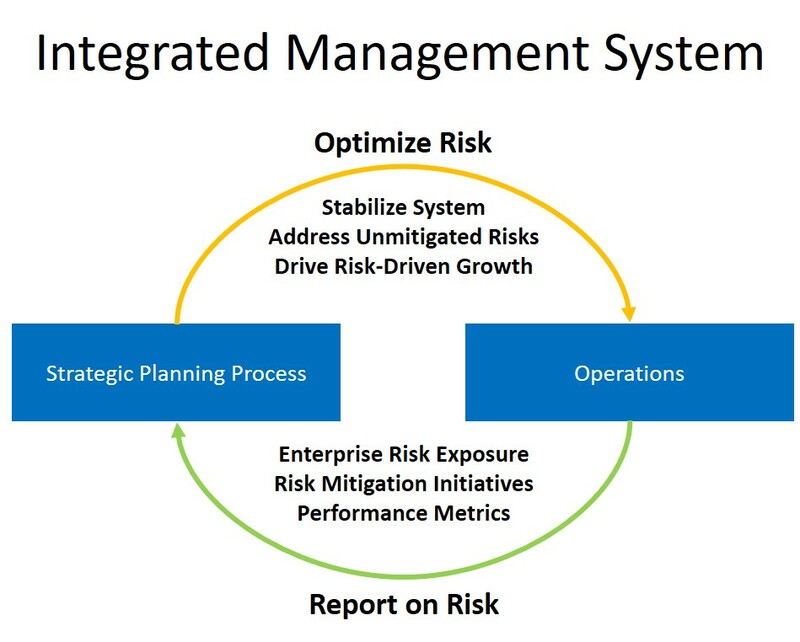 The term “Integrated Management System” gets thrown around to mean many things. To clarify what we mean, we use three terms to describe different types of management systems: Discrete, Unified and Integrated. Discrete Systems are your basic system designed for managing a single outcome or closely linked set of processes. Some common examples include systems for training, safety, quality, environmental management, etc. 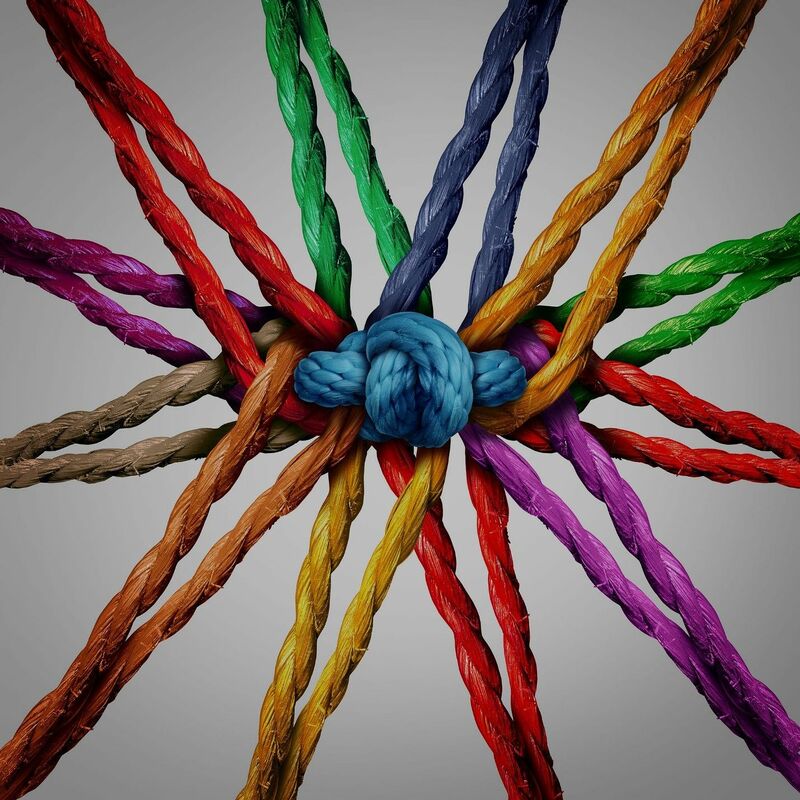 Unified Systems are essentially discrete systems that are grouped together for organizational efficiency, but they function much like discrete systems, so we will focus on explaining the difference between Unified Systems and Integrated Systems. For decades, we have been conditioned by organizations like ISO, ANSI, API, OSHA to think of management systems as pseudo bolt-on kits for addressing a pain point. Just think about the way many of these systems are implemented. Most companies commission an internal group or function (usually called something along the lines of Environmental, Health & Safety, Quality, Asset Integrity, Process Safety, etc) to implement their system and improve performance along their given area of responsibility. These groups are tasked with creating requirements for the rest of the organization, but in most cases, they are independent of the groups they create requirements for. This isn’t to say that this organizational strategy is at fault, it simply portrays the mentality that these systems and groups exist in addition to the existing governance. This thinking can be seen in the way these systems are written and implemented. To see this more closely, let’s look at a few example requirements that all these systems have in common: planning and training. Risk management requires effective allocation of limited resources towards mitigating the greatest risks. This is why most management systems include some reference to the Plan-Do-Check-Act cycle and requirements for how activities related to the management system will be planned. But what about how everything else is planned? The management system pulls on the same bucket of limited resources as everything else, yet the scope of these systems is limited to planning management system initiatives. What Unified Systems end up doing is creating a separate process for planning management system related initiatives, without ever addressing any issues with the way everything else is planned. A simplified illustration of this is one where the broader Strategic Planning Process and the Unified Management System effectively pull the organization in different directions. Strategic Planning tends to increase risk as it looks to grow the business through additional products, increased capacity, improved efficiency, automation and the like, leaving the EHSQ organization to worry about managing the operational risks. Unified systems are like having one part of the organization pushing on the gas pedal, and another part hard on the brakes. The impact of this disparity is worst on the front-line. They are the ones burdened with making the final decision on which priorities to follow, often having to choose between just “getting it done” to meeting production targets or following the requirements of the EHSQ system. Alternatively, under an integrated system, the focus isn’t on planning related to the management system, but rather on how the organization prioritizes and plans, period. This forces the planning process to incorporate all considerations for growth alongside considerations for mitigating existing risk, and the output of planning is a set of initiatives to optimize the organization’s risk exposure. More importantly, the decision is not left to the front line to decide between one or the other. It is easy to see how training and competency have a direct link to an individual’s ability to consistently execute his or her role. It’s no surprise then that every management system devotes a few requirements to ensuring people are adequately trained. However, as with planning, training is thought of only through the lens of that individual management system. The common result is the development of training materials for quality, environmental, health & safety matters. Often, this training is based on a separate set of procedures or protocols, and once again, the burden falls heaviest on the front line. These individuals must now stay up to date on training related to the management system on top of training for their day-to-day roles and responsibilities. When an incident occurs, rarely does “more training” not end up as one of many corrective actions. Furthermore, why do these systems constrain the requirement only to training for roles that affect a specific outcome? Whether you are talking about quality, environmental performance, health & safety, process safety or anything else, making this distinction contradicts the interconnected nature of every company. Every single employee and contractor, whether directly or indirectly, whether immediately or in the long-term, affects every single measure of success. An integrated management system looks at the challenge holistically by developing a process to ensure the necessary training and capability for every role is understood and assessed and ensure the organization can prioritize and plan how to best meet those needs on an ongoing basis. Endeavor Management provides its clients a world-class Integrated Management System that can be tailored for their organizational needs and regulatory/industry requirements. For more information on the Endeavor Management Integrated Management System, contact us and one of our Management System experts will guide you through the process.